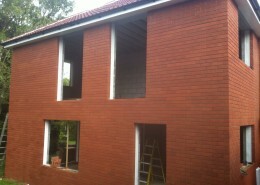 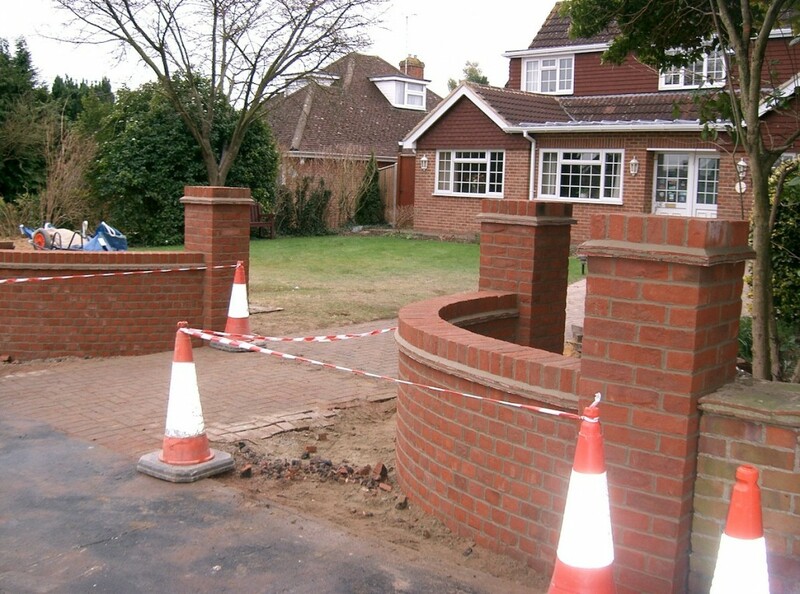 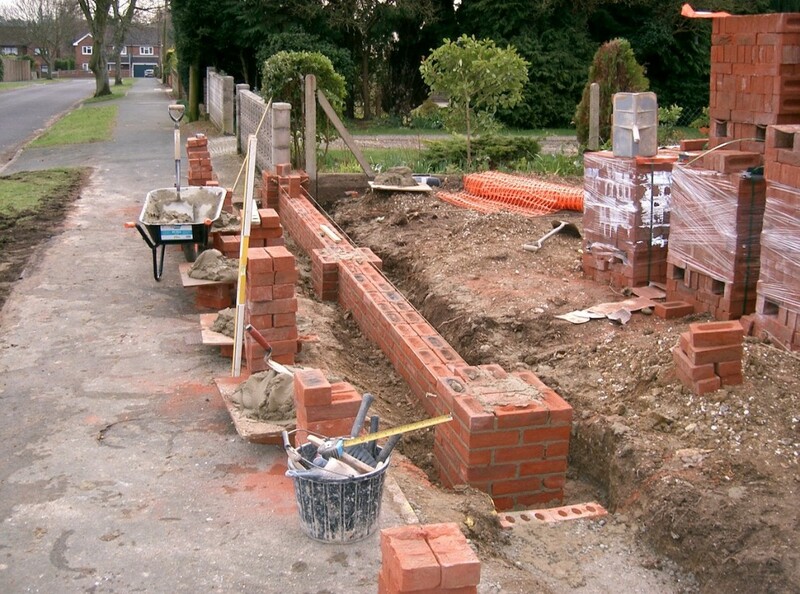 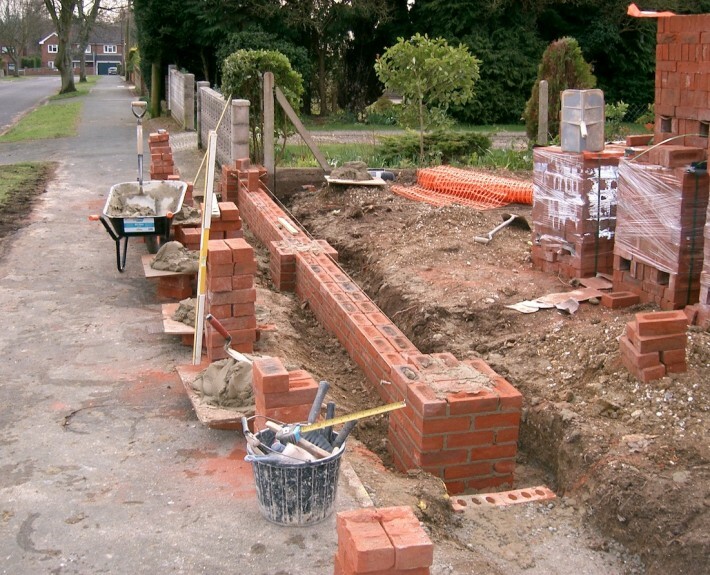 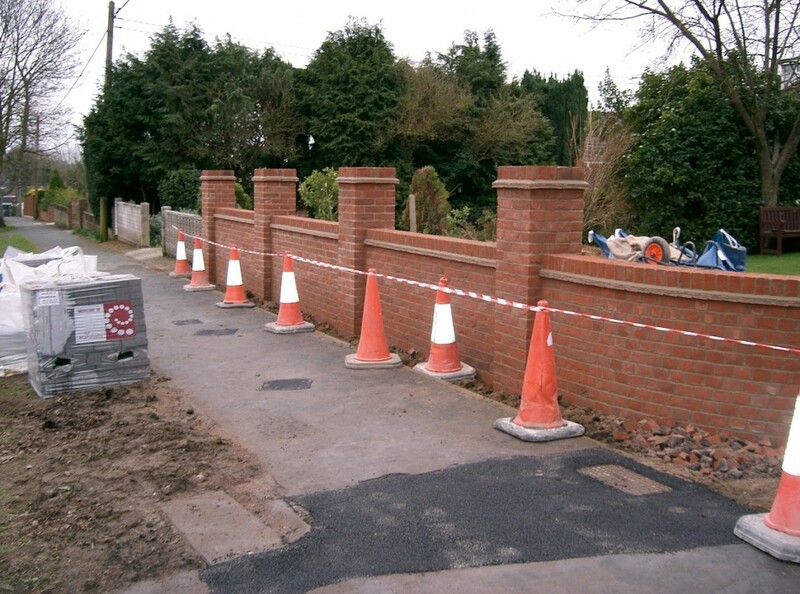 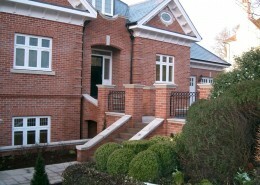 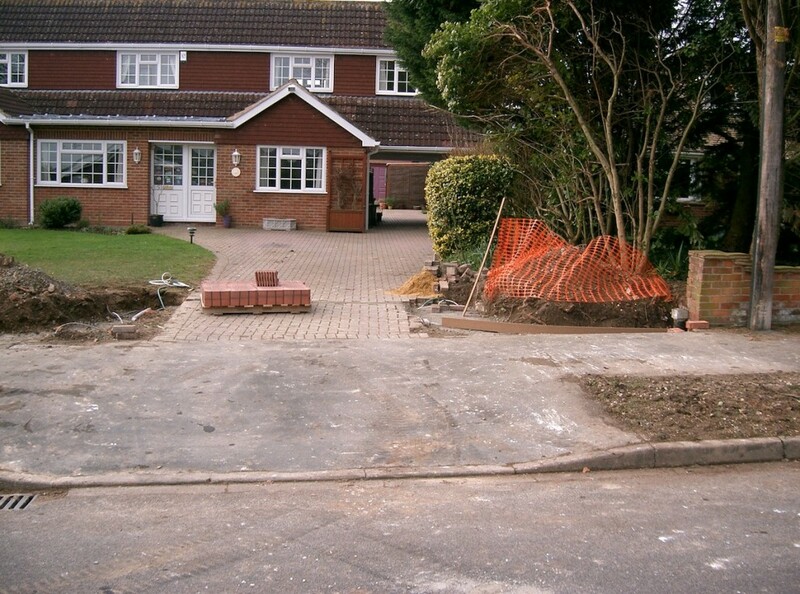 CLW Brickwork & Building Specialists | Project 12 – Front wall in Basingstoke. 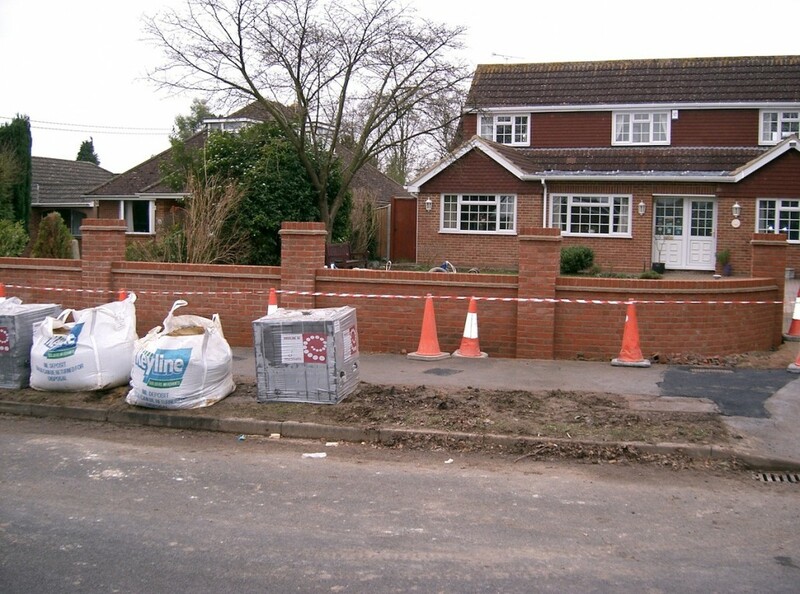 Project 12 – Front wall in Basingstoke. 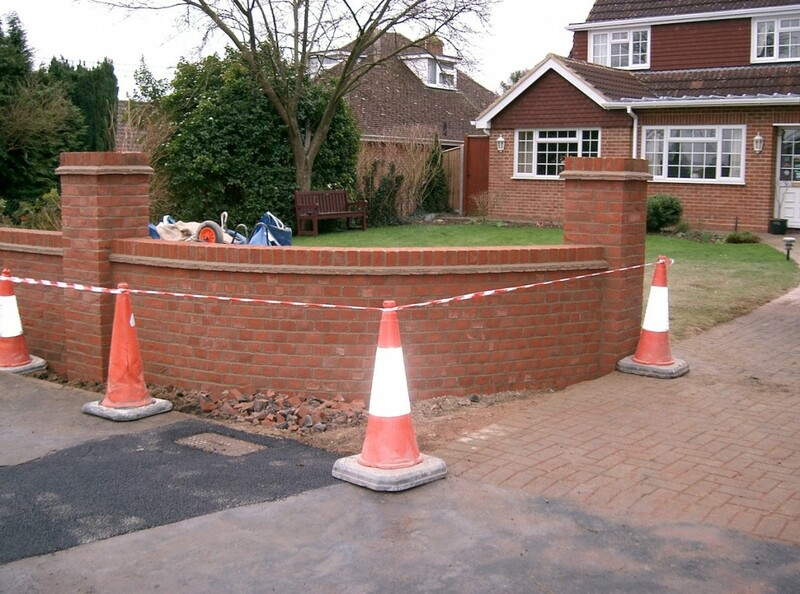 You are here: Home / Services / Brickwork / Project 12 – Front wall in Basingstoke. 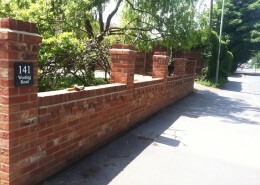 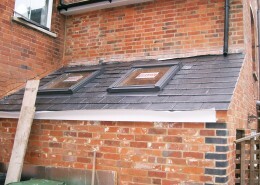 This was a large front wall built for a customer in Old Basing. 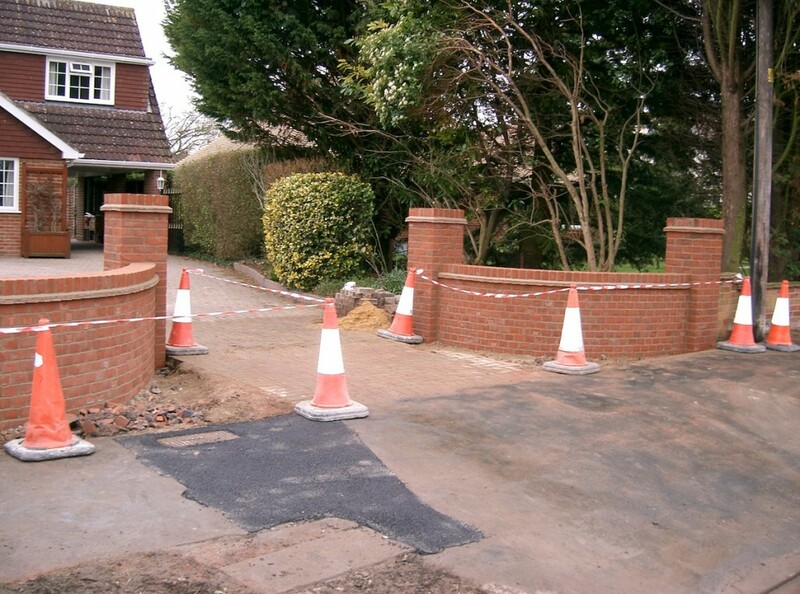 It created a grand entrance to their home with a ‘brick on edge’ and ’tile crease’ finish on top of the wall to create a feature.